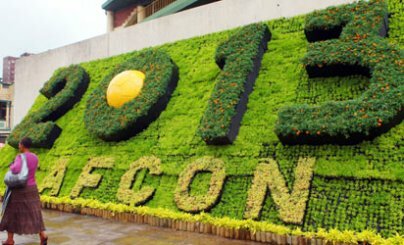 The AFCON 2013 launched in a rather subdued fashion on Saturday with excitement reaching the heights of the 95th Annual Chess championship. Before the proceedings got underway I grabbed the viewpoint of three of my mates and chipped in with my own. Andreas Koshiaris – Communications consultant at EXP. Who do you think will win the AFCON? AK: Ivory Coast. I think the squad have had a year to reflect on what should have been in 2012 and they will be keen to atone for that penalty shootout defeat to Zambia. Didier Drogba knows that his time on the international scene is coming to an end and will be hoping that victory for Ivory Coast will ensure he continues playing international football. The Confederations Cup will be held in Brazil in June, meaning another chance to showcase his enormous talent on a grand stage. DV: Ivory Coast look strong and it probably is the last chance Didier Drogba will have to win something so I expect a massive effort from them. JC: I think that Ivory Coast will maybe take this one. I know that they’re often favourites for the title and have failed on so many occasions, but it’s now over 20 years since they last won it and I think that with the squad they have, this year could be theirs. TB: Ivory Coast are by far the favourites for me, but Zambia could surprise us all with the settled squad that are playing better all the time. Head over heart, where will Bafana get? DV: I think if Mphela starts scoring we’ll reach the semi’s but only if our strikers start converting the chances our midfield creates. JC: Ermmmmm, bit a toughy that one. I honestly think that the current squad had a decent chance of going all the way, but it’s based on a bunch of ifs. If they can click properly, if Gordon finds the right formation and if Thulani Serero is fully fit. Honestly though, I think they’re good for the quarters or semis. TB: My heart says we will win the AFCON of course, but my head definitely says that it would be outstanding to get to the semi finals. Honestly I think we will make the quarter-final as second placed in our group. 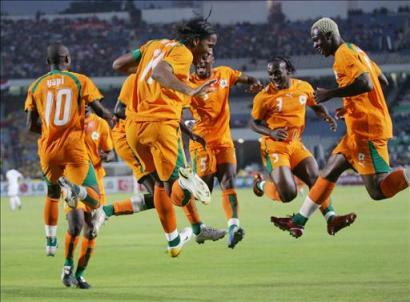 Which players do you think will make a name for himself at AFCON 2013? AK: Three names to keep an eye out for would be Christian Atsu, Younes Belhanda and Stopilla Sunzu. FC Porto left-winger Christian Atsu has scored 2 goals in 5 international appearances for Ghana and is rated as an excellent prospect. Another name that might be slightly more familiar is Montpellier playmaker Younes Belhanda who has caught the attention of several of Europe’s bigger clubs and could make a huge impact for Morocco at the Afcon. Zambia defender Stopilla Sunzu has had a fantastic year for club (TP Mazembe) and country and has been linked with a move to the Barclays Premier League with Arsenal and Reading both reportedly keen on his services. DV: I think for South Africa May Mahlangu could well cement himself on the map as heir to Steven Pienarr. Angola’s Manucho has always looked good and this could well be his tournament to shine. JC: I think this could be Serero’s tournament, but only if he’s fit enough which, unfortunately, I don’t think he is. Other than him I think that Maritzburg’s Mohammed Awal could also get his chance for Ghana. TB: Abdelaziz Barrada from Morocco, Albert Adomah from Ghana, Emmanual Mayuka from Zambia and Lacina Traore from Ivory Coast is one from each group for me. 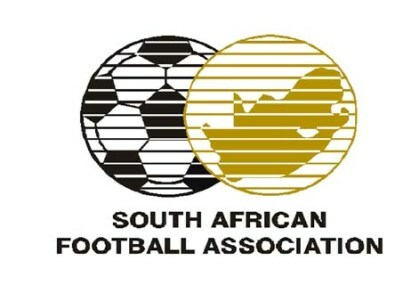 What can SAFA do to make sure the country backs the national team? AK: It might be a small matter but I firmly believe we need to get our identity back. I’m a massive advocate of going to back to our 1996 winning kit (green/gold/black) that made us distinctive and bought us glory. 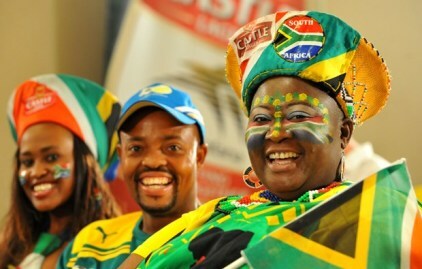 If we can recreate the feel-good factor associated with Bafana in those early years supporters could feel an emotional connection to the national team again and that could see numbers at stadiums swell – if we have people backing the national team that can only set about positive change in Bafana’s fortunes. DV: Better and more informative advertising. It’s been made very hard to figure out how ticket purchasing works and when and where matches will be taking place. Engage the country and they will come. Look at how full Cape Town stadium was for the friendly vs Norway. Also not having Cape Town as a venue is a massive mistake from SAFA. TB: They could have and should have learnt from the success lessons of the FIFA World Cup. The easier the ticketing situation, the more tickets you will sell. The advertising has been poor, but not as poor as we think, we must remember FIFA aren’t running this tournament! Are you going to any of the games? AK: I’m lucky enough to be working closely with the sponsors and I’ll be able to get to watch Bafana’s matches. I’m particularly excited about the opening day and I’m hoping that the memories created at the World Cup in 2010 on that Friday in June can be replicated. I’ve also ensured that I bought tickets to the Final! JC: I’m not sure yet. With them deciding against taking any games to Cape Town it’s going to be a struggle, I’ve just come back off a big holiday and I don’t know if I could organise the time off. I’m definitely going to try though! TB: Absolutely. The final for sure and hopefully a road-trip to Nelspruit to watch the Nigeria – Zambia game! Which club in the EPL will most be hurt by the AFCON? AK: Manchester City. Losing Yaya Toure is a significant blow to the reigning Champions and they also have to deal with the absence of his brother Kolo who also added depth to the squad. DV: My club – Manchester City will miss having Yaya Toure in our midfield but QPR will be hoping Diakite and Taarabt return quickly as they’re key players as QPR struggle to look like a club to survive the drop. JC: While they’ve got a very strong squad, I think that Man City will really feel the exit of Yaya Toure, he’s an absolute beast of a player and he runs their midfield. TB: I think for sure it has to be Man City. 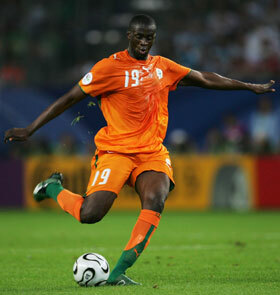 Yaya Toure is the best African footballer and one of the best in the world. He is a big difference maker for Manchester City. Which player at the AFCON would you be keen for your team to sign? AK: As a disgruntled Arsenal fan… Didier Drogba! 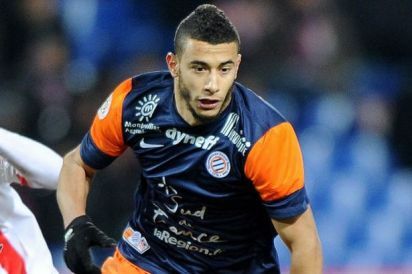 More realistically I’d opt for Morocco’s Younes Belhanda. DV: Tiote would be a good addition to the City midfield, combative and strong, he could allow us to release Yaya Toure further up the pitch. TB: Nobody, we have Gervinho! 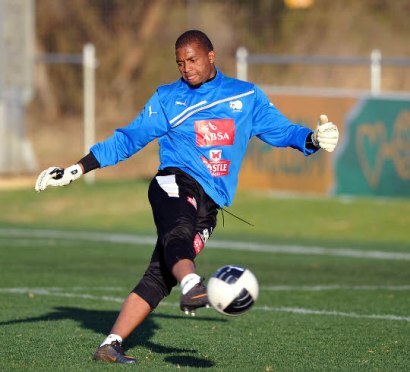 Id love a hard working midfielder and Khune just to teach Sczczeny how to distribute a football. Who do you think could emulate Zambia and be a surprise package this year? AK: I can’t look past the big guns in terms of winning the competition but Claude le Roy’s DR Congo could be a team to watch. They boast several familiar names like Tresor Mputu, Youssouf Mulumbu from West Brom, Anderlecht striker Dieumerci Mbokani and veteran Lomana LuaLua. JC: Maybe Zambia! Haha. Although I’m not sure you can be deemed a surprise package for two tournaments in a row. 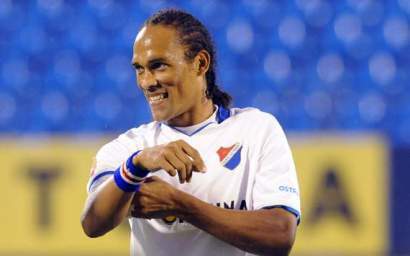 Another team is Cape Verde, I don’t think that they’ll win it, but I think that they may turn a few heads! TB: Cape Verde will surprise a few in my opinion, but I think our winner this year won’t be a surprise.